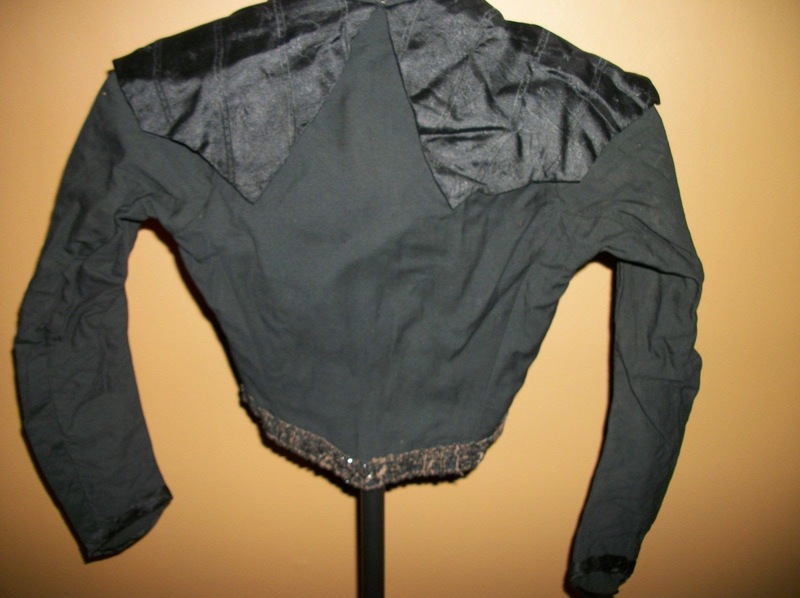 All original from a family estate Victorian era women's /girls Black Mourning Jacket bolero style. 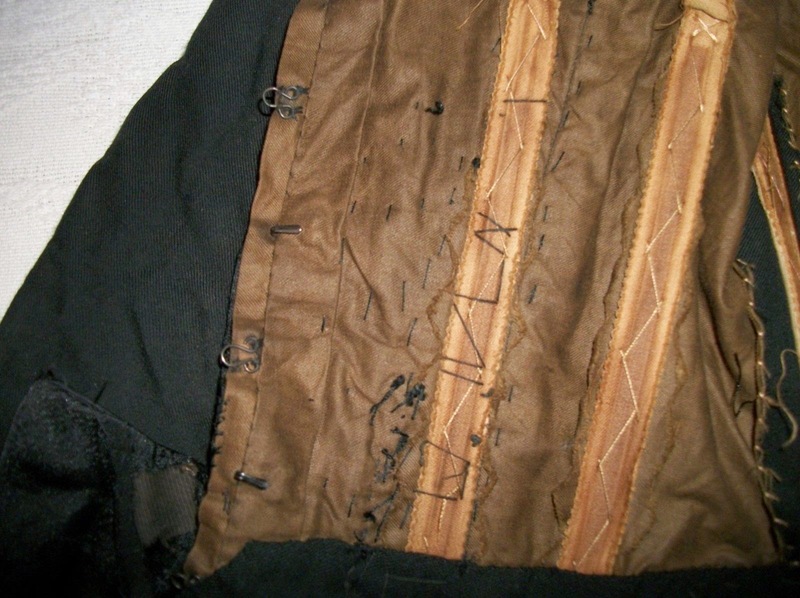 Truly fine tailor -made and in very good condition with all the elegance on such an occasion for those of the Victorian period. Of museum quality or detail study. 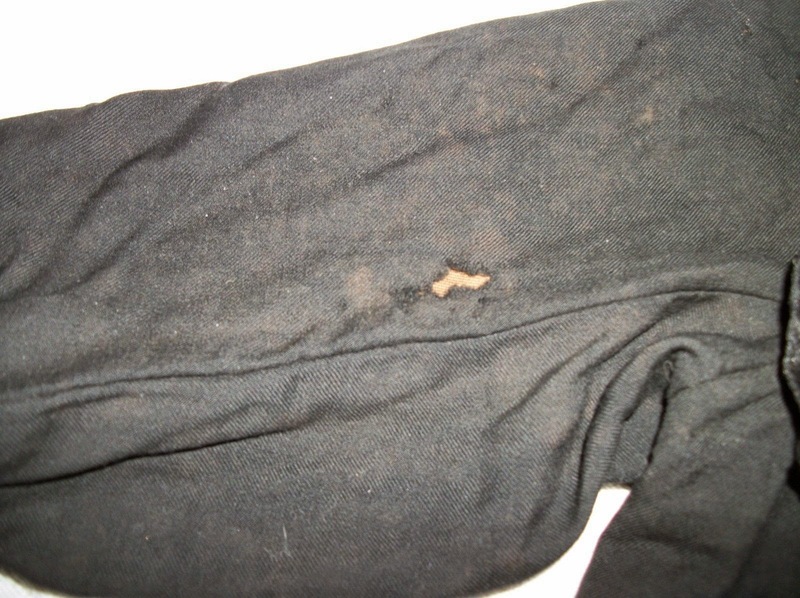 Black beads adorn the front and lower edges, many loose threads and missing beads and appears dirty. 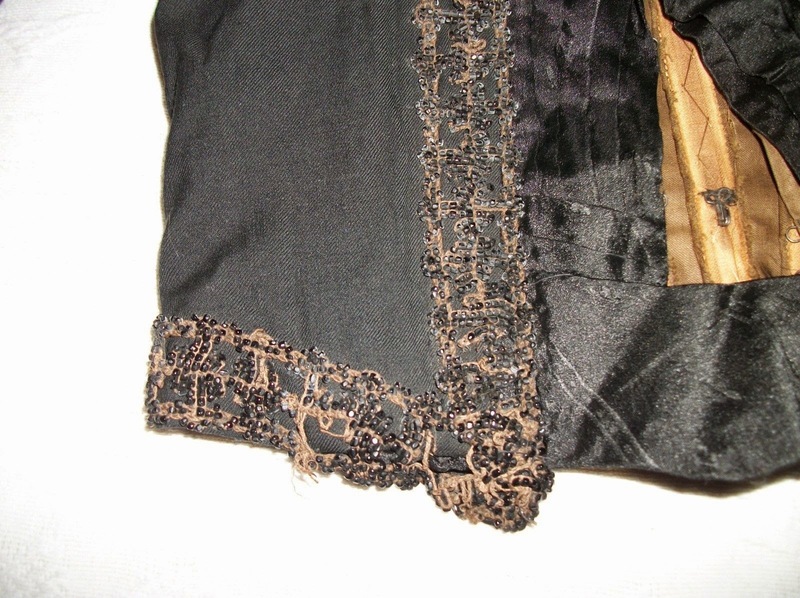 Pleated silk front with a large silk collar. 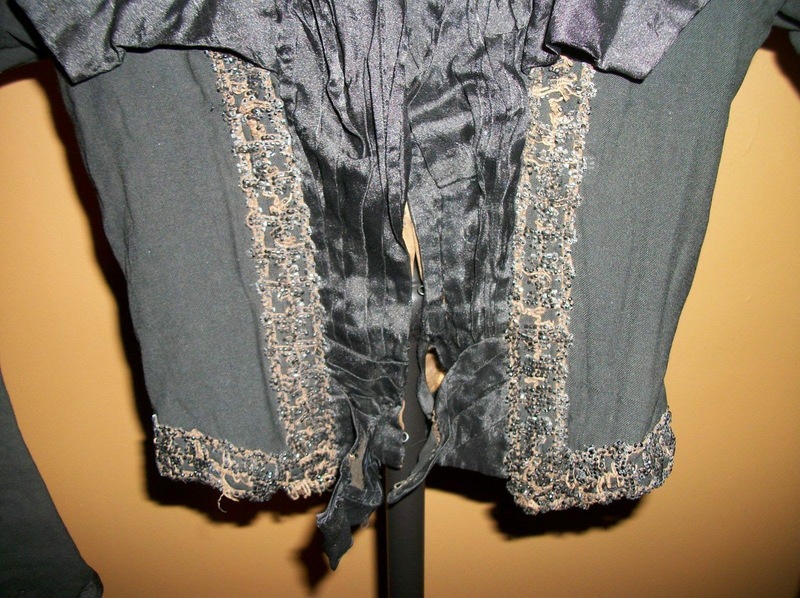 I believe this a child's mourning jacket as I have an adult sized mourning attire currently listed from this estate. back to shoulders seams 11"
This looks like half mourning to me - although I admit that the mourning rules confuse me at times. 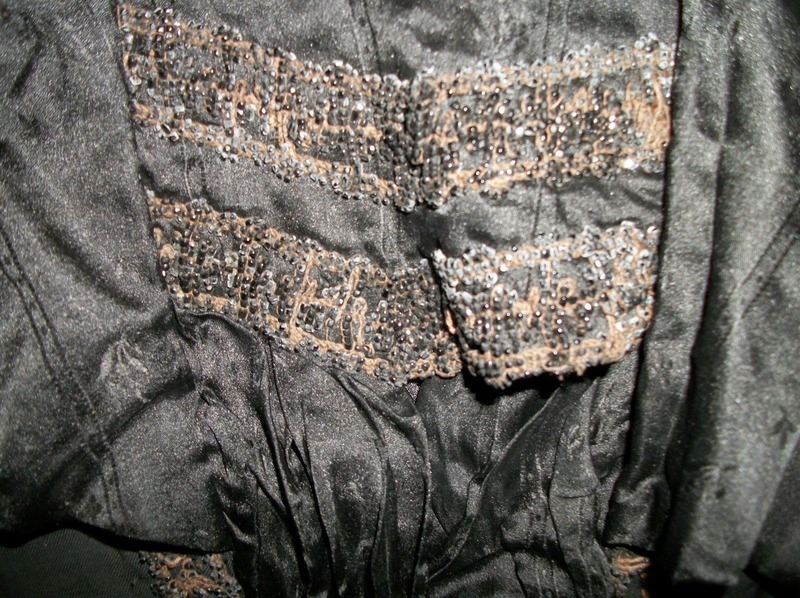 The jet beading with the white backing would be appropriate for half mourning based on most of my research. The bodice looks to be mostly out of wool. 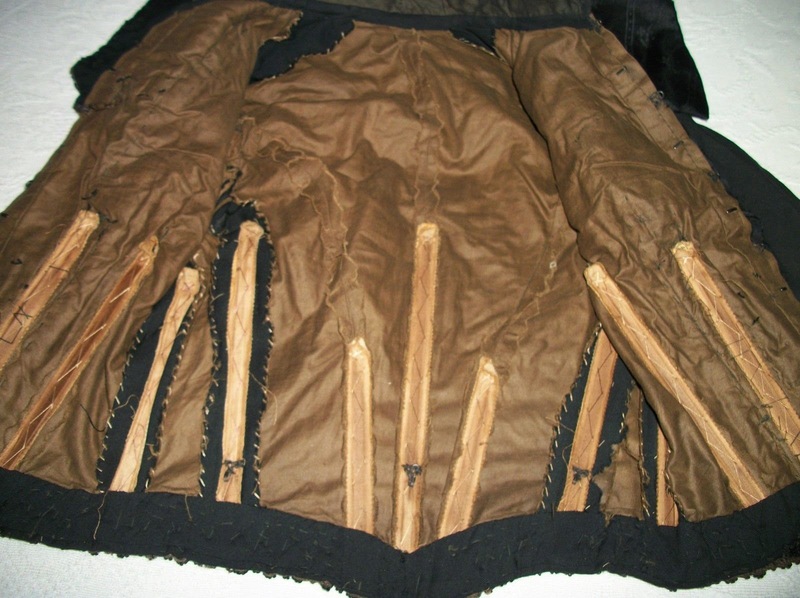 It's most likely from about 1899 or so given the sleeves and the shoulder treatment. Lol! I'm glad it went to a good home!